I was so pumped with LENOX tower escaping to live another couple years that I forgot to post the rest of the news items that I had accumulated. Sorry for the lack of hard content lately, just been too busy to get started on my next big project or finish up some of my remaining old ones. I first wanted to remind everyone that CSX is in the process of ruining the last great bastion of NY Central signaling in the Buffalo-Depew area, so if you happen to be nearby, please go and check it out before it gone forever. I wanted to call out NS for replacing 1990's vintage Conrail signaling when Union Pacific is keeping similarly aged Southern Pacific target signals in place and going so far as to re-use the existing relay case as well. 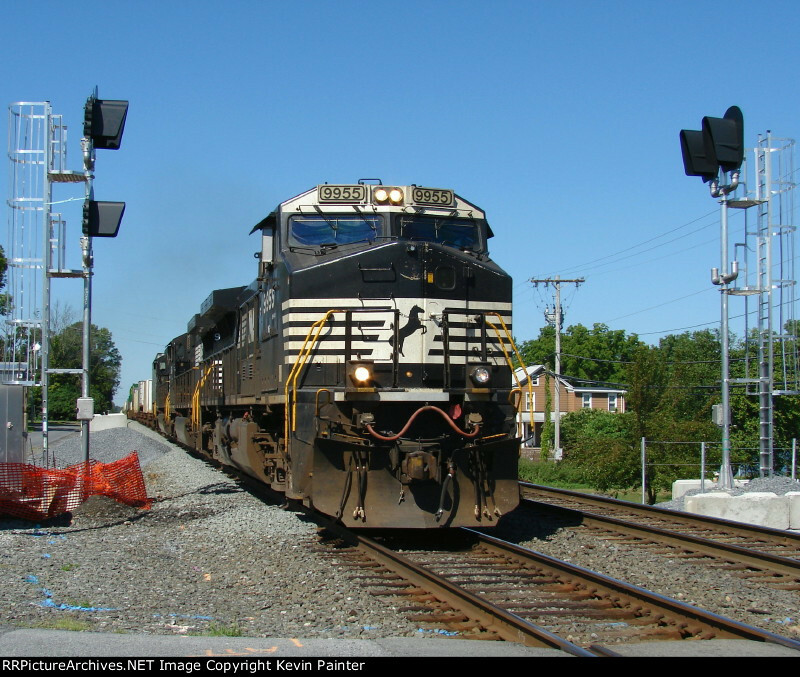 I wanted to confirm that NS has also finally replaced the Southern vintage signals in the Charlottesville, VA area. While the old signals definitely had more character to them, the replacements will be able to display a R/R/Y Restricting indication in addition to Y/G Approach Diverging. One case of addition by subtraction is the removal of NS's experiment with wind-up, wind-down ladderless signals. These two soul-less examples are near the Danville, VA Amtrak station. Just goes to show that things could be worse. 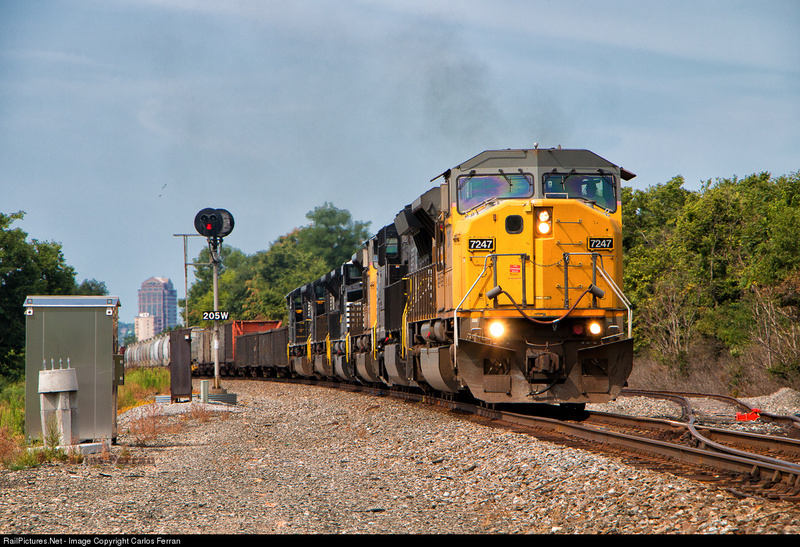 I'm going to keep the spotlight on NS here, this time on their Southern main line in North Carolina. If you were just going to double track things anyway, why dd you bother removing the Southern masts just to replace them again? 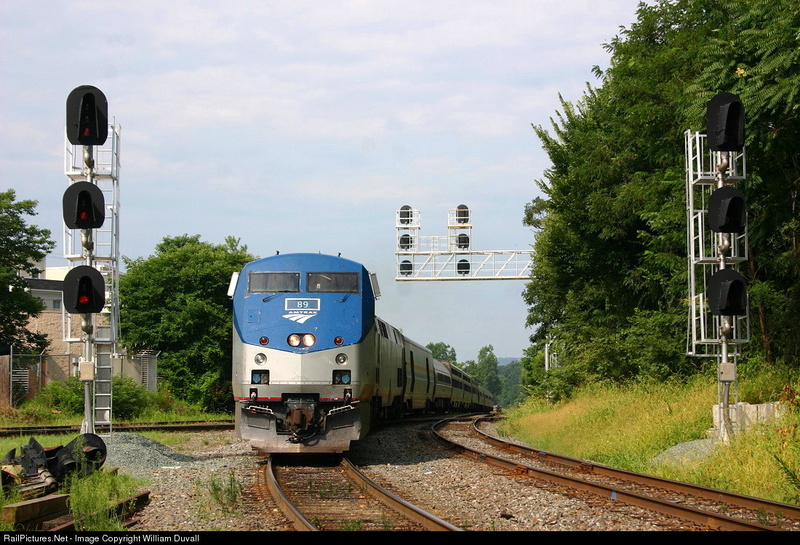 I also have news on the Reading Line re-signaling project, specifically that it will stretch to at least CP-LAUREL, nixing the Conrail signals there and at CP-BLANDON. Well I think that clears the docket. Have a great Labour Day weekend! In 1996 the Burlington Northern Railway merged with the Atchison, Topeka and Santa Fe. Typically when two railroads are involved in a mega-merger the signaling systems are so incompatible that the surviving railroad needs to employ multiple signal aspect systems, or the systems are similar enough that they can be merged without much change. However when looking at the famous BNSF signal chart we see an almost bizarre mix of route and speed signaling, almost as if two different systems that should have been kept separate were merged. The shocking truth is that prior to the merger, both BN and ATSF used very similar bizarre signaling systems and the merger was nearly seamless. Like I said, what stands out is the mix of route and speed signaling. At home signals it's all route with Diverging Clear and Diverging Approach. At the distant however we see Approach Medium and Approach Limited, traditionally speed signaling aspects. This is why it feels like one road was speed signaled and one was route signaled since it would be easy enough to just remove the speed signal aspects at interlockings and just rely on the timetable while applying speeds to the distant signals. However if one goes back and looks at the original ATSF and BN rules, we can see what actually happened. BN Chart is a PDF so click the link. 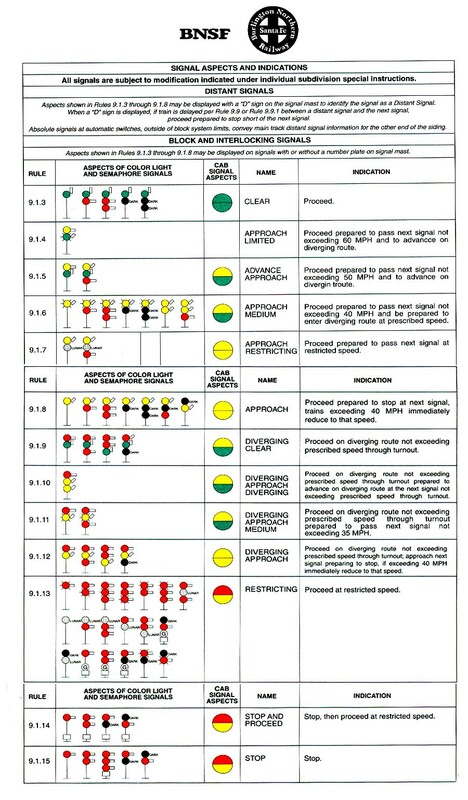 Both these nominally route signaled western roads included speed signaling aspect Approach Medium and Approach Restricting while the ATSF additionally included Approach Limited . During the unification process BN's Approach Diverging was simply folded into Approach Medium so that the rule now reads "Approach next signal at Medium speed (40mph) AND prepared to proceed on diverging route". 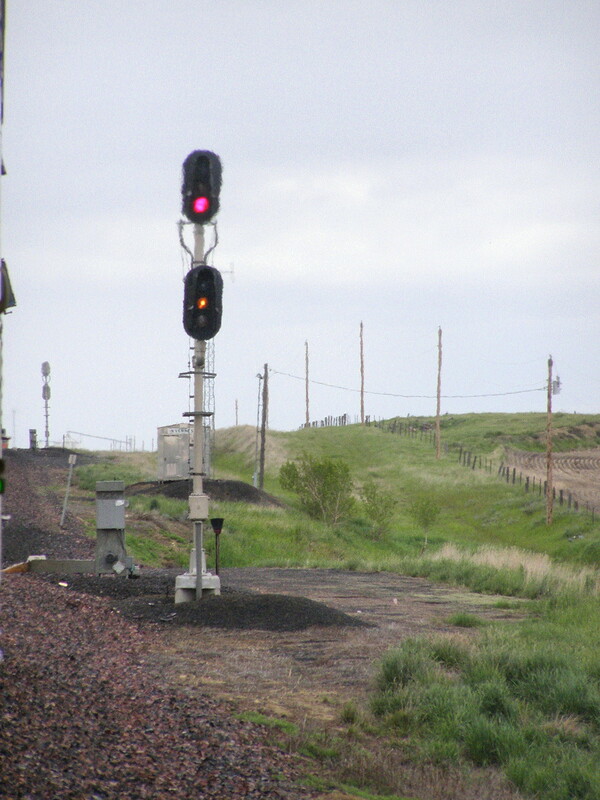 In practice the Y/Y is still used for diverging routes 40mph and below while *Y* tends to be used for 4-block signaling, however this was not always the case on legacy installations, which allowed for two lamp distant masts. The other signal that stands out is the use of Y/G for Advance Approach. Now with the Y/Y Advance Approach popular in the east being used for Approach Diverging, it does make some sense to use Y/G, but why was *Y* labeled Approach Medium and then used in the role of of Advance Approach as seen in the preceding video? Well on BN this remains a bit of a misery, but from the ATSF side of the family tree we got what became the final BNSF rule that states pass next signal at 50mph AND be prepared to advance on diverging route. It's basically filling the role of Approach Limited, or in Union Pacific parlance, Approach Clear 50. As BNSF re-signals it appears to be common practice for distant signals to display Y/G Advance Approach for Diverging Clear in the 30-50mph range and Y/Y Approach Medium for Approach Diverging (or the extra block length gained with an interlocking allows for a more permissive 4-block signaling). However this could just be BNSF installing signal lamps that aren't used. 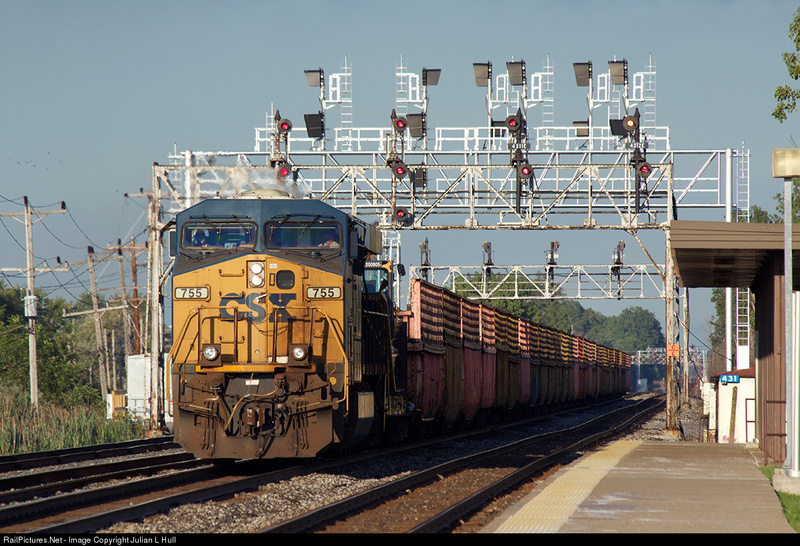 BNSF has been investing in 6 lamp distant signals that can display Y/G and Y/Y. Now I know you must be looking at the signal chart and noticing that there is indeed an Approach Limited using Y/*G*. Well again, read the rule, not the name. It's basically the same as Advance Approach, only the speed is raised to 60mph for high speed turnouts. On UP this is more appropriately called "Approach Clear 60". To make things even more confusing BNSF maintains a distinction between R/*Y* and R/Y/Y. Whereas R/*Y* is typically used for back-to-back diverging movements, on BNSF it is labeled Diverging Approach Medium and is clearly intended for short signaling distances as there is no mention of proceeding on a diverging route and the speed is limited to 35mph instead of 40. R/Y/Y is the more straightforward Diverging Approach Diverging, but appears on neither of the predecessor systems so as one might guess R/*Y* is still used for back to back diverging movements where BN traditionalists still hold sway. I have to assume the R/*Y* Diverging Approach indications on the ATSF were converted to plain R/Y. While BNSF allows for both Lunar white and *R* Restricting, the *R* is clearly the preferred choice nowadays. Like UP, BNSF only employs Y/L for Approach Restricting without the obvious Y/*R* option. However unlike UP there seems no desire to distinguish Yard routes with Lunar and occupied block routes with *R* as I have not encountered any 4-lamp signal heads. (For those who don't know, Approach Restricting provides advanced notice of being routed into a yard or non-signaled siding). 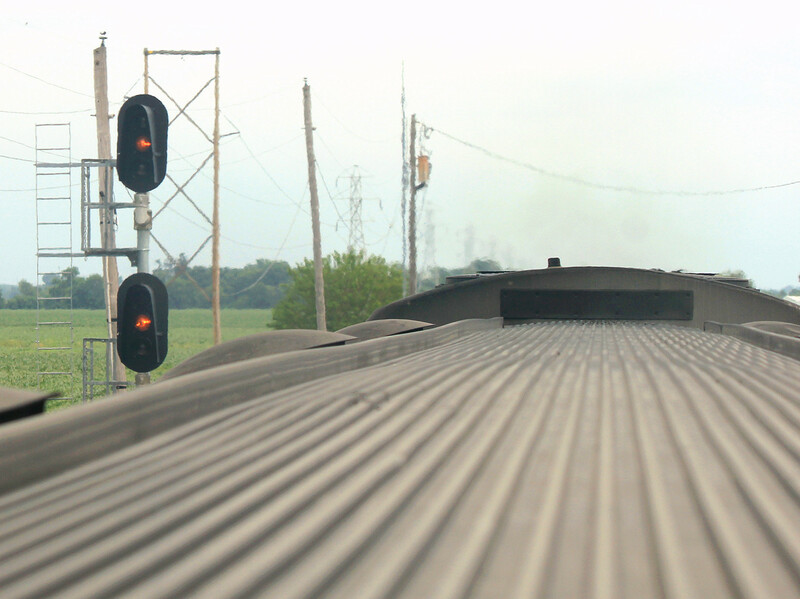 So there are the interesting parts of the BNSF signal aspect system. Hopefully I'll get some feedback regarding how some of the overlapping indications are utilized out in the field and also some more of the historical context I'm not aware of. Specifically I was unable to locate either a CBQ or GN signal aspect chart to trace to origin of the odd speed signaling components further. I'm talked before about various "poor man's" signaling. Well I don't think anyone could accuse the great Pennsylvania Railroad of being poor, however compared to many peer railroads they were almost pathologically opposed to CTC. Sure, there were a few schemes like the largely single-track Port Road and Buffalo Line, but where the PRR was using two or more tracks, manned block stations were the name of the game all the way into the Conrail era. 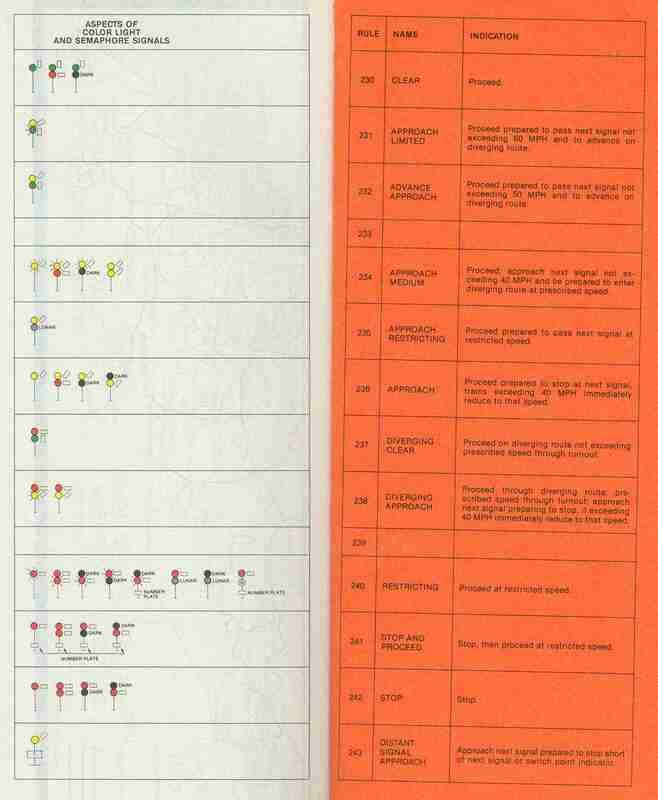 While recently searching around for information on Reading towers, I came upon an interesting resource relating to an interesting manual block scheme employed by the PRR on their Schukyll Valley line between Philadelphia and Reading. This line was one of several built in the late 19th century as part of the PRR's feud with the Reading. 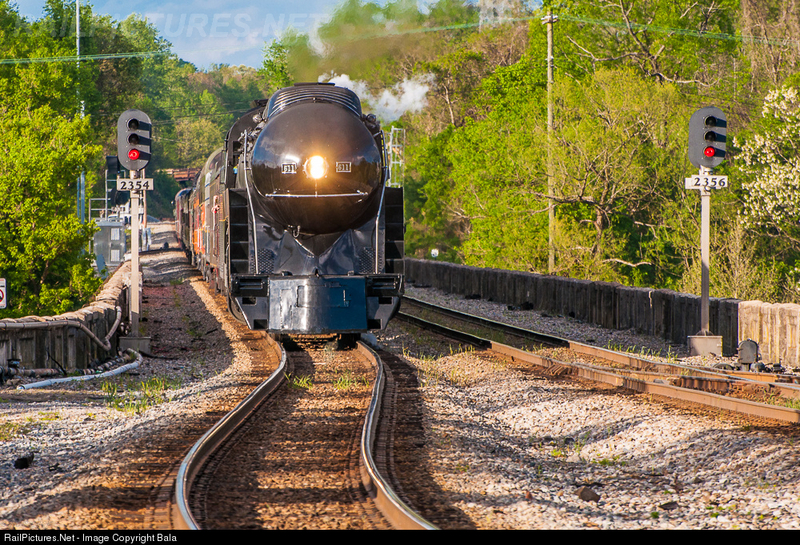 Intended to stab into the heart of Reading territory the line didn't have quite its intended level of success, but ultimately winding its way to the Scranton area, the route was seeing about 18 passenger and 8 freight trains per day in the 1930's. Unlike the Reading's 2-4 track ABS main line, the PRR's attempt of competition was mostly single track with passing sidings operated under manual block rules. On the twelve miles of the line centered on Birdsboro, PA there three passing sidings, each requiring a manned block station that in the depths of the depression, even the likes of the PRR couldn't afford. While the technology to CTC this type of line had been debuted by the NY Central in 1927 and was also being deployed by the PRR at THORN and COLA, the powers that be decided on a more cost effective solution. BROOKE tower, note both the PRR and Reading signs. 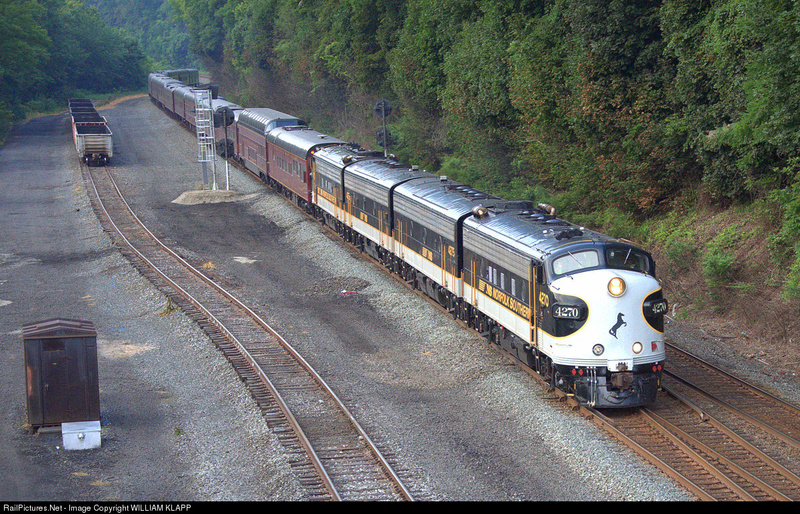 The jointly PRR/RDG operated BROOKE tower in Birdsboro controlled a crossing between the PRR line and the Reading's line to Wilmington as well as a number of other local yard and industrial tracks. There was no way this tower could be eliminated to the PRR installed a 20-lever table interlocking setup to remote control both the local BROOKE siding and one additional siding in either direction. However if you think that sounds like CTC...you would be wrong. The 20-lever table setup had been reduced to 8 by the 1970's. First, as far as I can tell the system was direct wire, not some sort of remote code system as one would expect from CTC. More importantly, there was no traffic control, which is two of the three words that make up the term CTC. The operator at BROOK would use the levers to work the remote switches as well as the manual block signal granting access to the next block. Track occupancy lamps on the table units would confirm the passage of the train. In fact almost the entire line was covered by track circuits and distant/home signals would provide full block status between themselves and the next manual block entrance (Stop and Proceed being substituted by Caution). Despite being a bit of a kludge, the system was successful, operating until BROOKE was closed in 1977. 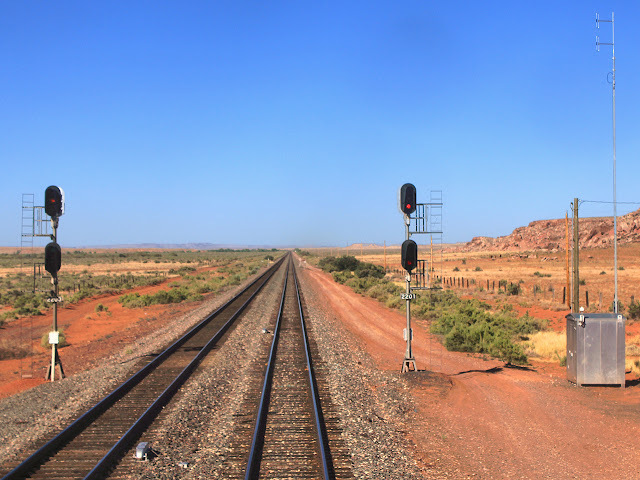 It allowed the PRR to close two manned Block Stations and paid for itself within 3 years. Why they didn't just go for CTC is still a mystery. After all the tracks were circuited and the sidings signaled and under remote operation. My theory is that the PRR was just very conservative when it came to its focus on reliable operation and didn't want to gamble on a technology was not yet fully established.